Dr. Miinala Marketing, which provides tools and solutions that assist marketers in getting more clients, has introduced a hair dressers snapshot report. This free report for hair dressers will tell them what must be done, especially with regards to their online reputation, to allow them to reach out to more potential clients. "Our aim," says a spokesperson for the company, "is to provide reputation and management for local hair salons that help them to boost website traffic and revenue. This latest report is designed specifically for hair salons and spas and gives information that will enable salon owners to improve their customer reach and ultimately, increase their earnings." Dr. Miinala Marketing has a staff of talented marketing experts as well as those experienced in search engine optimization, graphic design, and website development. The company helps businesses through a variety of channels, including their free reports that show business owners where they may be failing to reach local clientele. "Our LinkedIn business page shows much more about what we do and how qualified we are to do it," says the company spokesperson. "We urge you to visit us online if you are not reaching the total number of customers that you want and allow us to help you build up your salon business, ensuring that your reach is much broader." The company states that the market for hair dressers can be particularly tough. With hundreds of hair salons in even the smallest cities in the nation, salon owners need something that is going to virtually guarantee that they reach their targeted audiences. Salons have traditionally grown via word of mouth and referrals. 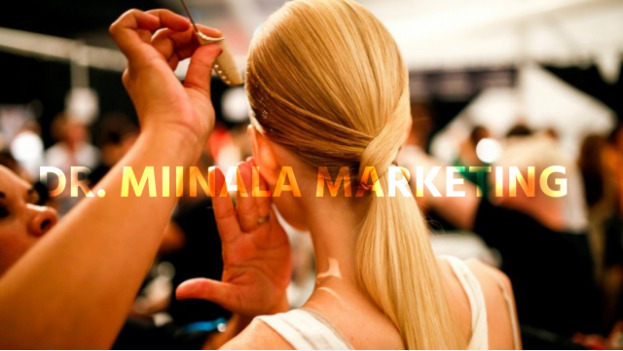 Dr. Miinala Marketing states that their goal is to make it a bit easier for hair dressers to gain the clientele that they need to reach a successful customer base. The marketing team at Dr. Miinala Marketing has maintained an excellent reputation in online marketing and consultancy throughout the years. The company has a proven track record for quality customer service and products, and has helped hundreds of business owners market their websites effectively. Those interested in learning more about the hair dresser report that the company is offering can take a look at their official Facebook page.